St Stephen’s in Ponsonby finds itself in a very mixed socio-economic demographic. One way they thought to help connect these distinct communities, in a non-threatening way, was to set up a community pantry. A community pantry is a self-sustained food and sanitary items bank where anyone in the community may contribute and anyone in the community may benefit. Take what you need, and share what you can is the ethos of a community pantry. St Stephen’s hopes that this venture helps those who are vulnerable by offering both food and sanitary items. A no obligation way to give back to the community and help out those who lack resources. https://ponsonbycommunity.org.nz/wp-content/uploads/pantry-2.jpg 1080 1080 Lisa Rogers //ponsonbycommunity.org.nz/wp-content/uploads/PCC-logo-whitev3.png Lisa Rogers2019-04-11 14:08:162019-04-11 16:41:24New Community Food Pantry! Dance4Us coming to Ponsonby Community Centre! Dance Movement Therapy group sessions for Adults with Special Needs (including Autism, Cerebal Palsy, Downs syndrome, cognitive delays, other disabilities). Participate in a fun and therapeutic dance movement group which will foster social connections and self expression through creative and expressive dance movement activities. Entry via koha donation. https://ponsonbycommunity.org.nz/wp-content/uploads/cep18_dtnz_takapuna_330-2-e1553123557461.jpg 895 1076 Lisa Rogers //ponsonbycommunity.org.nz/wp-content/uploads/PCC-logo-whitev3.png Lisa Rogers2019-03-21 11:57:492019-03-21 12:05:04Dance4Us coming to Ponsonby Community Centre! Approved Strength and Balance Yoga classes! https://ponsonbycommunity.org.nz/wp-content/uploads/tick-logo@3x-100.jpg 207 213 Lisa Rogers //ponsonbycommunity.org.nz/wp-content/uploads/PCC-logo-whitev3.png Lisa Rogers2019-03-11 13:02:202019-03-11 13:04:17Approved Strength and Balance Yoga classes! The office will be closed from the 22nd of December until the 13th January 2019. Ponsy Kids Preschool opens again for bookings on the 221st of January 2019. 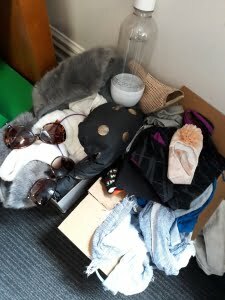 We are having a 2 week amnesty for you to pick up your lost property. Anything left at the end of the 2 weeks will be donted to charity. https://ponsonbycommunity.org.nz/wp-content/uploads/PCC-logo.png 200 346 Lisa Rogers //ponsonbycommunity.org.nz/wp-content/uploads/PCC-logo-whitev3.png Lisa Rogers2018-11-20 12:44:212018-11-20 12:44:21Lost Property Amnesty! Celebrate 20 years of Ponsonby Playgroup and….Christmas party! Previously run by willing parents, the Ponsonby Playgroup is now being managed by the Ponsonby Community Centre. 2018 is the 20 Year anniversary of the inception of the group and we are celebrating with a special Christmas party on Tuesday, 18th December 9am – 12pm. There will be Face Painting and Bubble Fun plus music and dancing with Antonio the Music Man. All past, present (and future!) Ponsonby Playgroup families are welcome to come! https://ponsonbycommunity.org.nz/wp-content/uploads/baubles-3754210_1920.jpg 634 1500 Lisa Rogers //ponsonbycommunity.org.nz/wp-content/uploads/PCC-logo-whitev3.png Lisa Rogers2018-11-13 16:55:362018-11-13 16:56:29Celebrate 20 years of Ponsonby Playgroup and....Christmas party! Yoga for seniors a sell out! We had an amazing turnout for the free yoga class for seniors today and had to turn some away as we were too full! Next week it will be on a first come first served basis – our limit is 30. We though about opening into the next door space but the Yoga teacher only has enough equipmewnt for 30 people. However, we will consider scheduling another class on a different day if we continue to get such a good turnout! https://ponsonbycommunity.org.nz/wp-content/uploads/20180919_105720-e1537329407567.jpg 864 1113 Lisa Rogers //ponsonbycommunity.org.nz/wp-content/uploads/PCC-logo-whitev3.png Lisa Rogers2018-09-19 15:42:562018-09-19 15:45:51Yoga for seniors a sell out! We have started up a new page for Ponsy Kids Community Preschool on facebook. The page also supports a closed group for our PK parents. Within the closed group we will share special stories and pictures of what the children have been getting up to during their time here and use it as a way to share any other news or upcoming dates. Like our new page to get general news and updates on PK. To be admitted to the closed group you need to specify which child of yours is enrolled with us and an admin will add you. Go to the PK Closed Group! Free Yoga for all those aged 65+ ! Join us for the first class on 19th September 10:30am at the Ponsonby Community Centre in the Freda Stark Hall. Bring your Gold Card for ID if you are particularly youthful looking! Proudly supported by the Waitemata Local Board , Ponsonby Community Centre and Four Winds Yoga. https://ponsonbycommunity.org.nz/wp-content/uploads/francesca-USA.jpg 1000 1500 Lisa Rogers //ponsonbycommunity.org.nz/wp-content/uploads/PCC-logo-whitev3.png Lisa Rogers2018-08-27 14:35:592018-09-06 10:18:20Free Seniors Yoga! Ponsy Kids Community Preschool is looking for a passionate teacher who has a strong commitment to quality practice to join our team. We would welcome a newly graduated teacher or one with more experience. 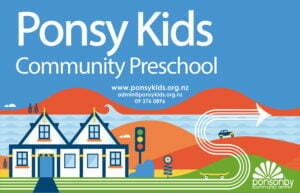 We are a non-profit community based preschool located in the Ponsonby Community Centre. We are licensed for 41 children aged 2-5yrs. The children who attend our preschool are nurtured, respected and valued as individuals, giving them strong sense of belonging. We offer a supportive and fun team environment with ongoing professional development and hours are negotiable for the right person. We can offer you free all day parking in the central city, free flu shots each year, we pay for all of your PD and teacher registration. If you are a provisional teacher we will provide a qualified mentor to guide you through your 2 years of provisional registration. We also provide 10 paid sick days per year for our teachers as well as time in lieu for any extra hours worked. Job description attached below.